tracks inspired by the peoples and factions of the Deadfire Archipelago. variety of ocular incursions, as well as looking extremely piratical. design team. 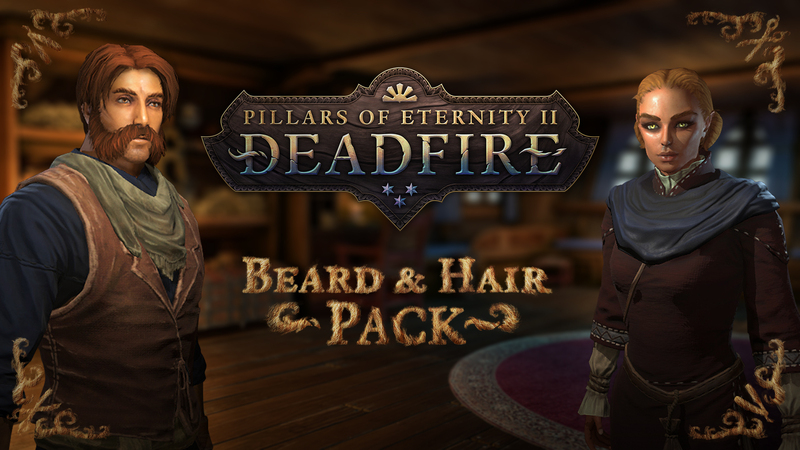 Connect with other Deadfire fans and create your own adventures! 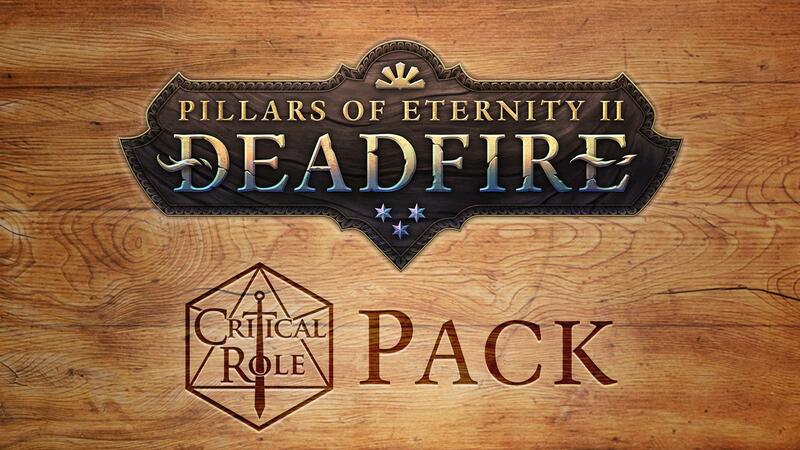 printed to assist you with navigating the treacherous waters of the Deadfire Archipelago. illustrations and plenty of fascinating background. 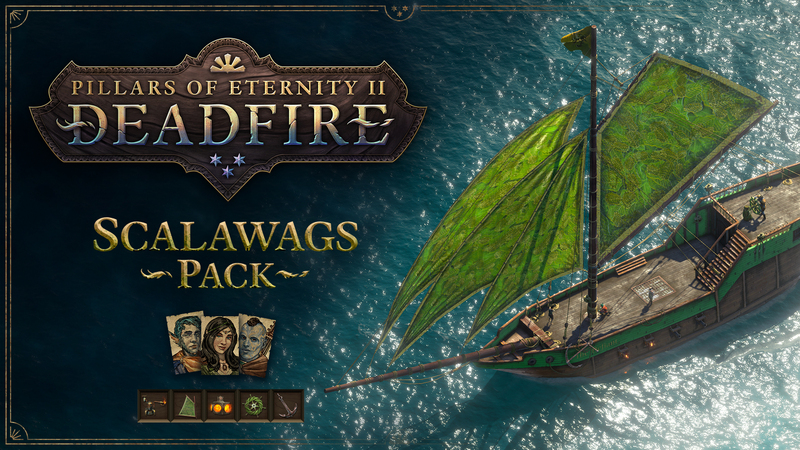 Chase a rogue god over land and sea in this sequel to the multi-award-winning RPG, Pillars of Eternity. choices you'll have to make. region in your own upgradeable ship. ● Play your way: create a truly custom alter ego with the new multiclass and subclass systems. models, dynamic weather and lighting, and stunning visual effects. your player character sound like Grog, Keyleth, Percy, Vax, Vex, Scanlan, Pike, and Gilmore! libations and adds the recruitable sidekick Mirke to the game, since no Captain should drink alone. ● Mirke, a new sidekick. 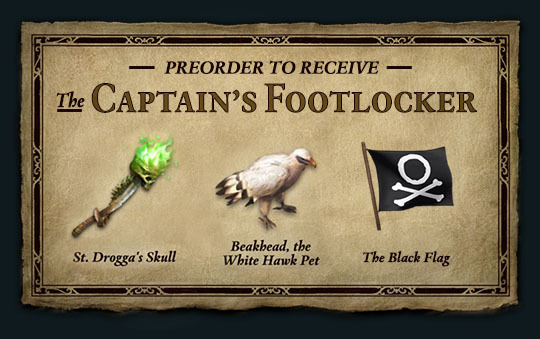 ● Six new alcohol-themed items added to a merchant in the Deadfire. ● New Drunken personality setting. ● New Energetic personality setting. upgrades to many of the shipwrights throughout the Deadfire Archipleago. 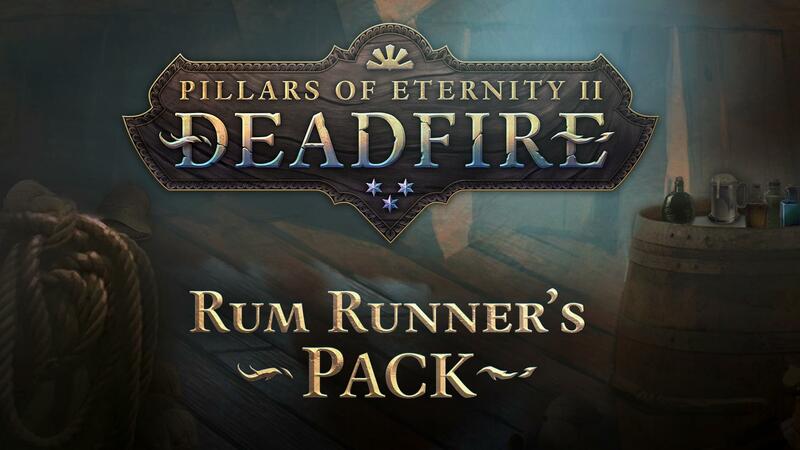 ● Seven New Crew Members added to the taverns of the Deadfire Archipelago for you to recruit. ● Six New Ship Upgrades, including sails, cannon, anchors, and more added to shipwrights throughout the game. could we expect beta files will be uploaded here? thanks, any idea when and what size? 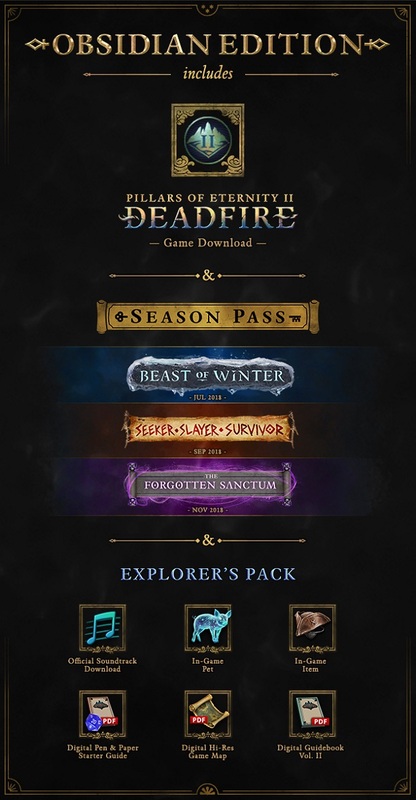 If there's no difference, which one(s) are the files from the "Deluxe Edition" and which one(s) from "Explorer's Pack"? edited post, link was live. added patch update from v1.2.0.0028_(22142) to v1.2.2.0033_(22310).